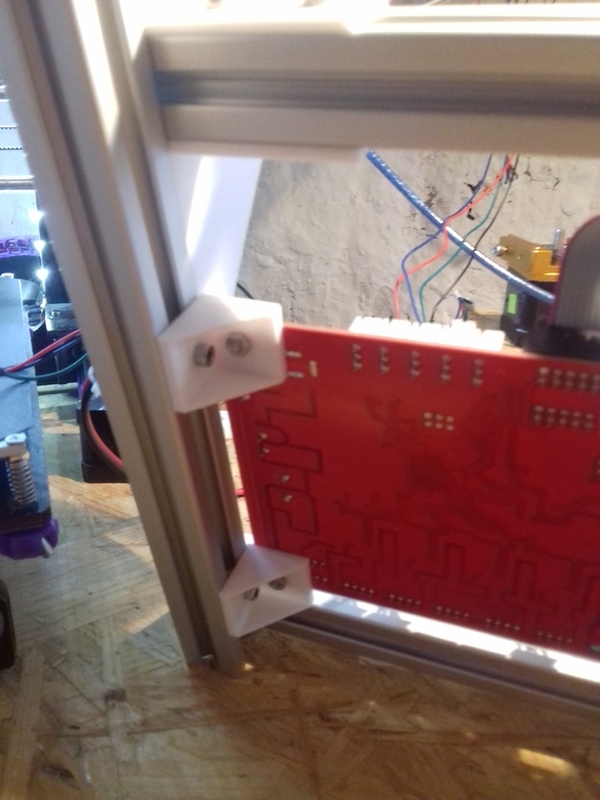 Counter intuitively using 3 extruders with single nozzle in mixing operations, keep EXTRUDERS 1 and do not enable SINGLENOZZLE but leave is disabled. 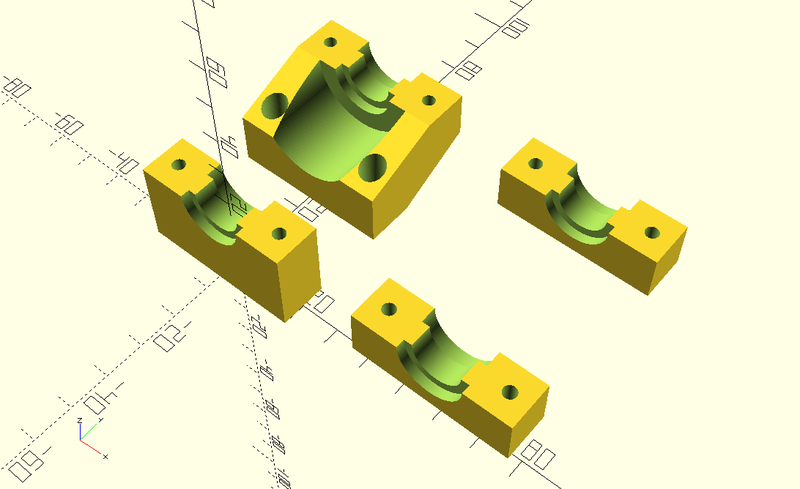 After that, the virtual tools T0 – T18 are available, printing different mix ratios. 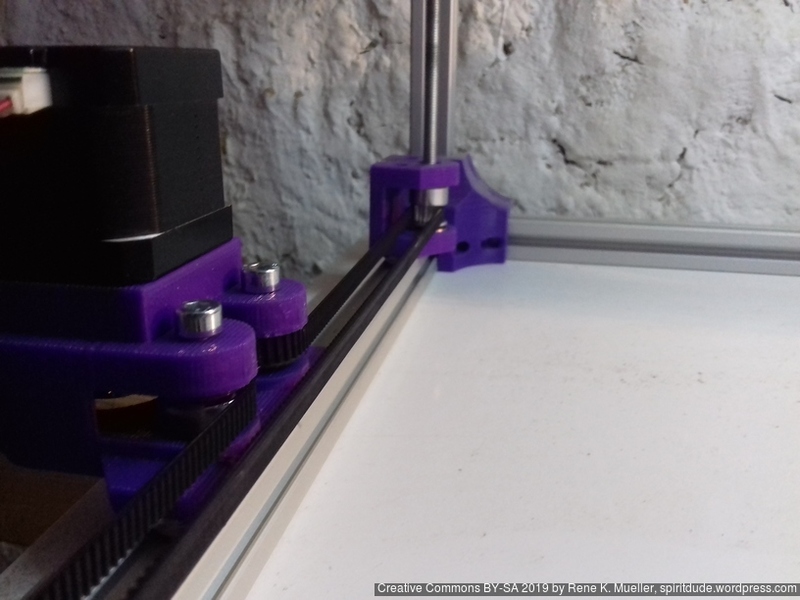 After that, the virtual tools T0 – T15 are available, printing different mix ratios. There is no purge block, but I wanted to see how fast the switch is possible. 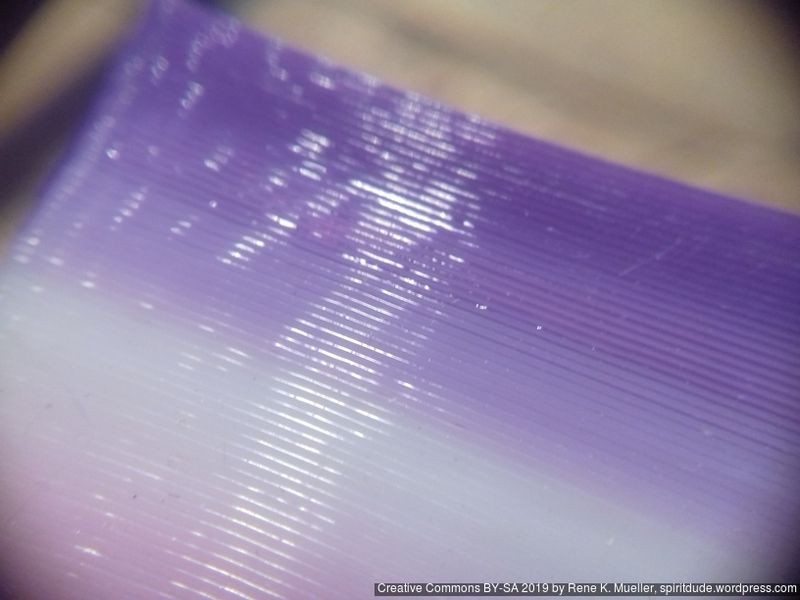 Some issues are once the mix changes the first 10-20mm extrusion may come out under-extruded. 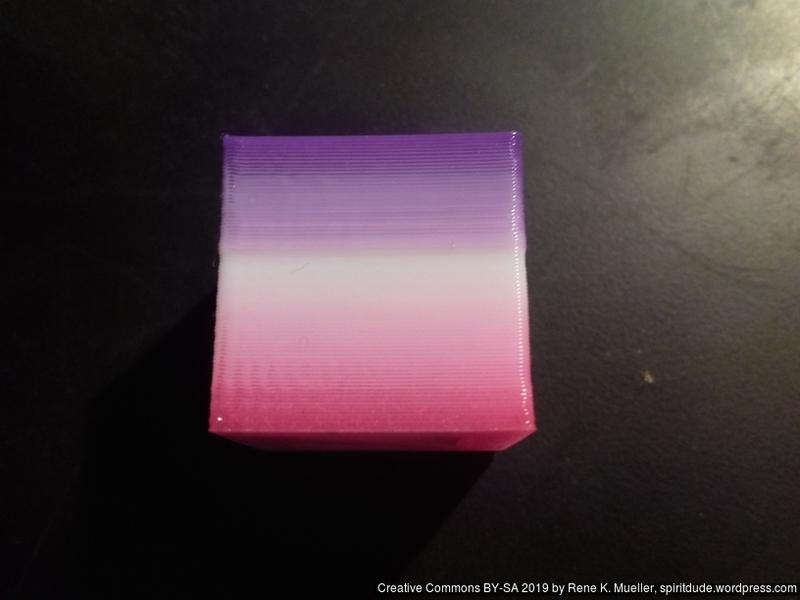 With light-blue/cyan, yellow and glowing magenta gave decent results: the green turned out well, the orange as well, even the violet and darker blue came out well. 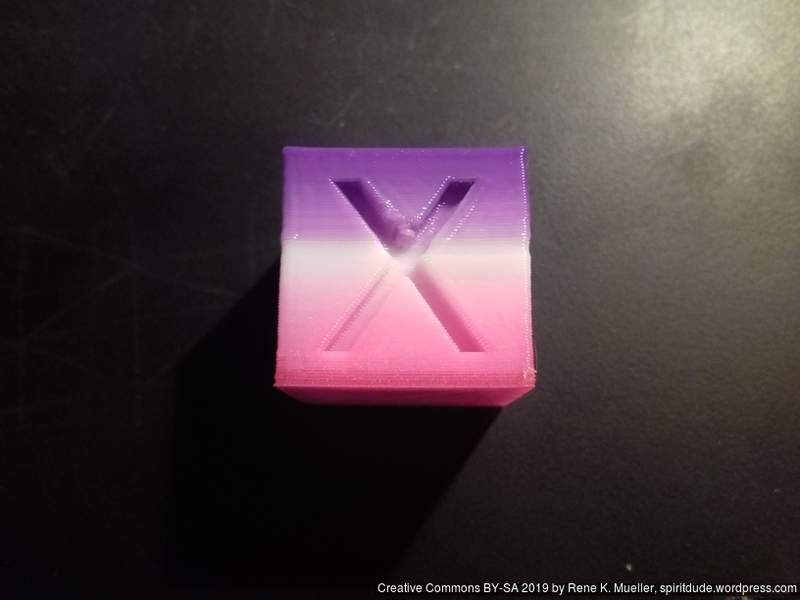 In front with “X” the violet prominently comes soon, the “Y” (right-hand side) looks OK, whereas the back side the white/violet transition is not smooth, the same for the left-hand side. 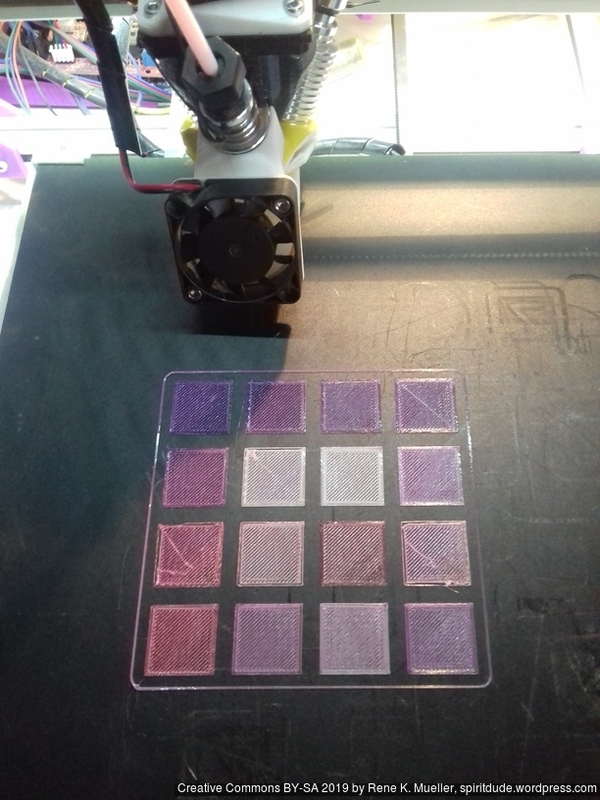 I print with first layer (layer 0) 210C usually on cold bed, and dropping to 195C for the rest usually let the nozzle temperature sink below 190C, sometimes even 185C before reaching 195C again due the thermal mass of the Diamond Hotend, and below 190C risk of under extrusion is high (layer 2-3), therefore I now use 195-198C to limit that risk. 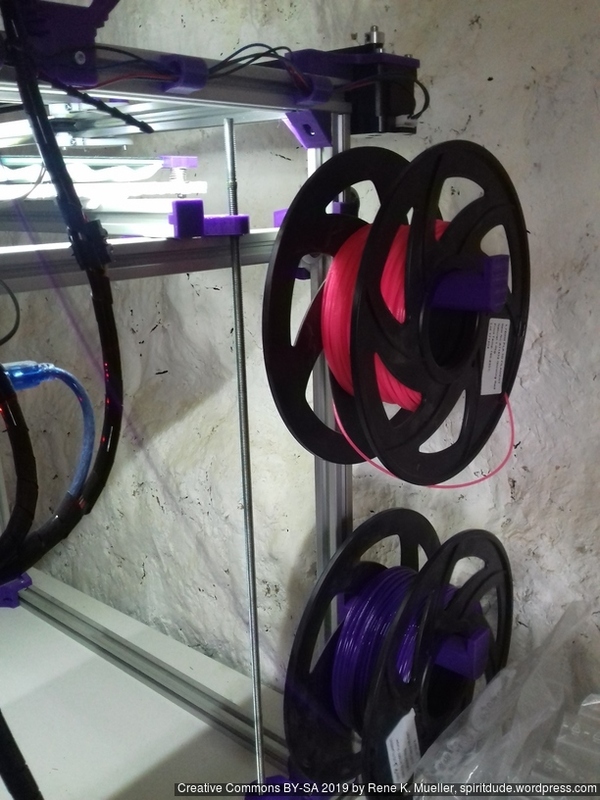 It’s recommended to increase printing temperature with Diamond Hotend to achieve better mixing of the filament, yet, it seems also increases the risk of clogging/jamming of filament as in my case. 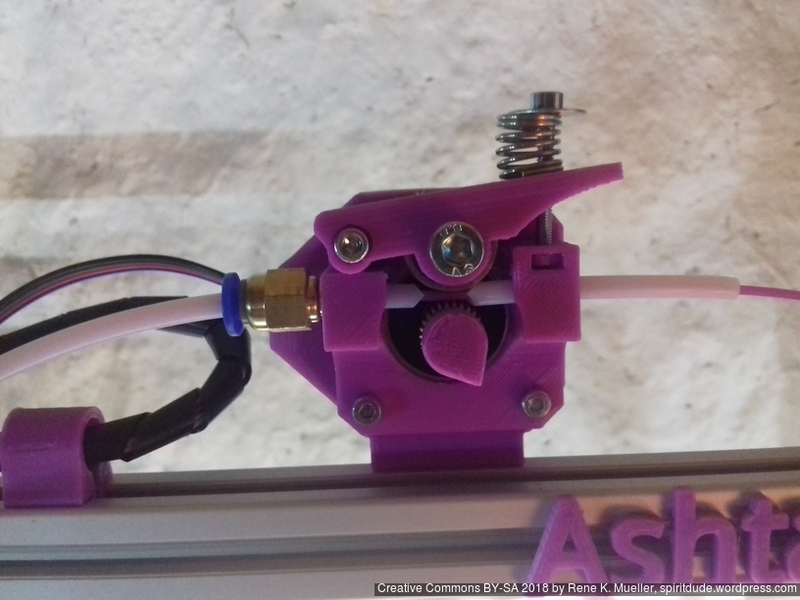 Although, I currently use an 40mm fan on top of the Diamond Hotend instead of 50mm fan – the heatsinks left/back and right/back are warm, whereas the center/front (with magenta) is cooler. So, I might use a bigger fan and see how things behave then. like with Set Theory or more known when using Venn diagrams. 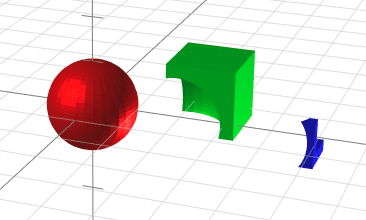 Brian Spilsbury started to look at 3D meshes for his JSxCAD library and how to process them: much closer to actual use cases of composing solids together and incorporate physical reality that two solids cannot occupy the same space at the same time while still unite or combine their shapes somehow. 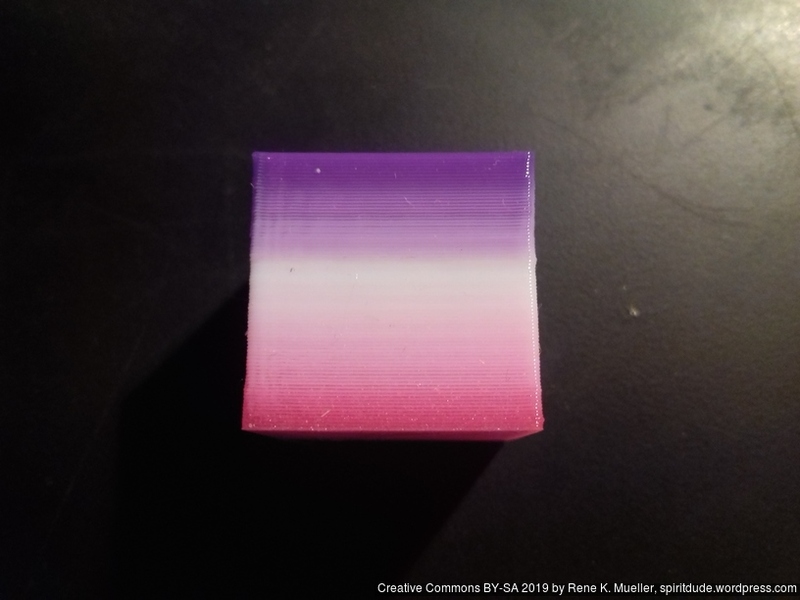 He came up with the concept disjointed assembly of solids, which has the advantage of preserving the solids integrity in order to maintain individual information of material or colors per solid, and only change their shapes to align seamless to each other. 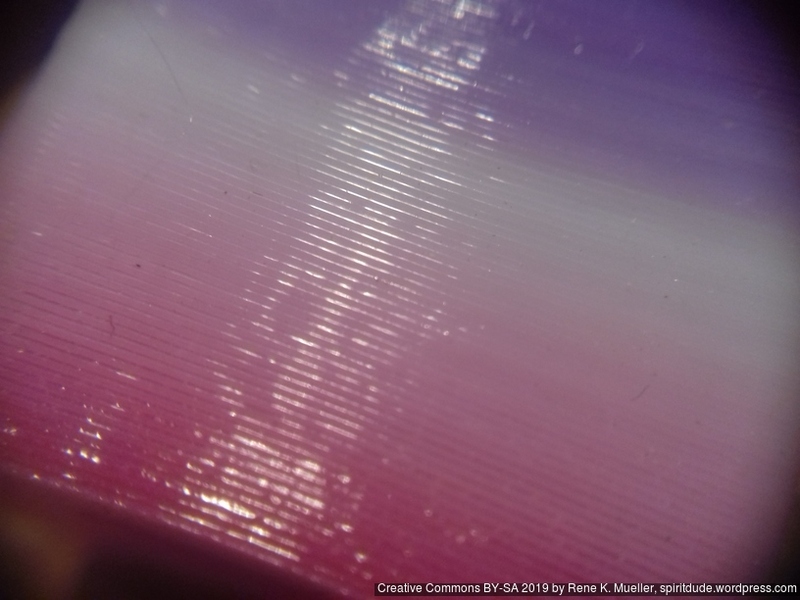 The parts no longer intersect any space of each other, and seamlessly can be fused now together. The order of such exclusivity matters now: the first solid in line is changed by all succeeding solids, and each next solid in the disjointed assembly the same, whereas the last solid remains untouched, hence, exclusivity with ascending order, the last dominates most. and then a remains untouched, and all succeeding parts are dominated by the preceding ones. 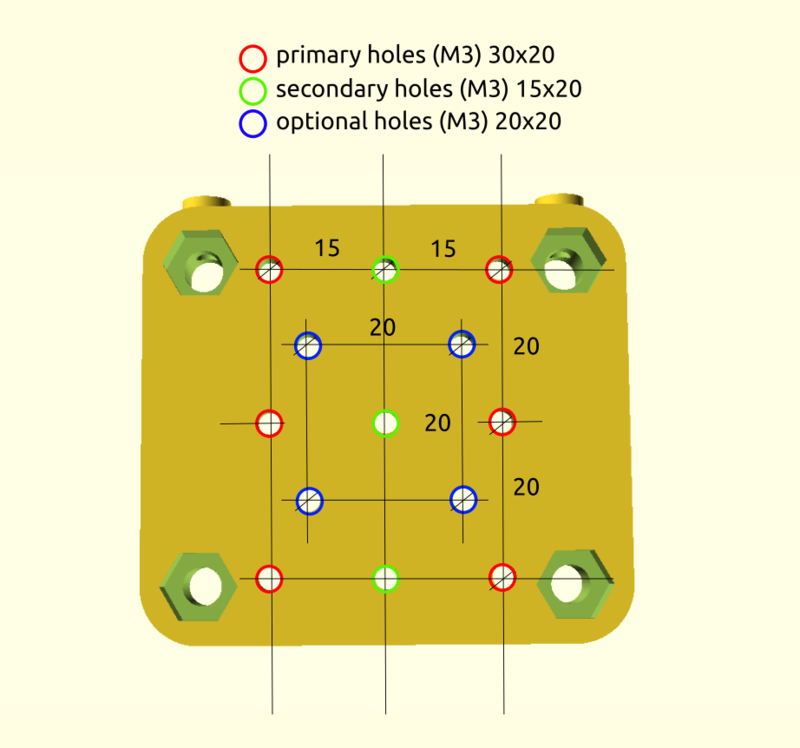 While union(), difference() and intersection() are base functions handling solids, exclusive() introduces a lightweight approach to handle grouping of multi-material CSG solids by having the parts accessible individually afterwards. 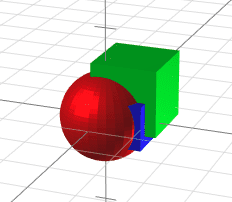 OpenJSCAD: not yet, you can easily write a function to handle an array of solids, and creates difference() operations to each other. 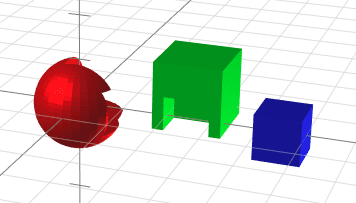 JSxCAD: assembly() with ascending order implied, means, the last object is most dominant. 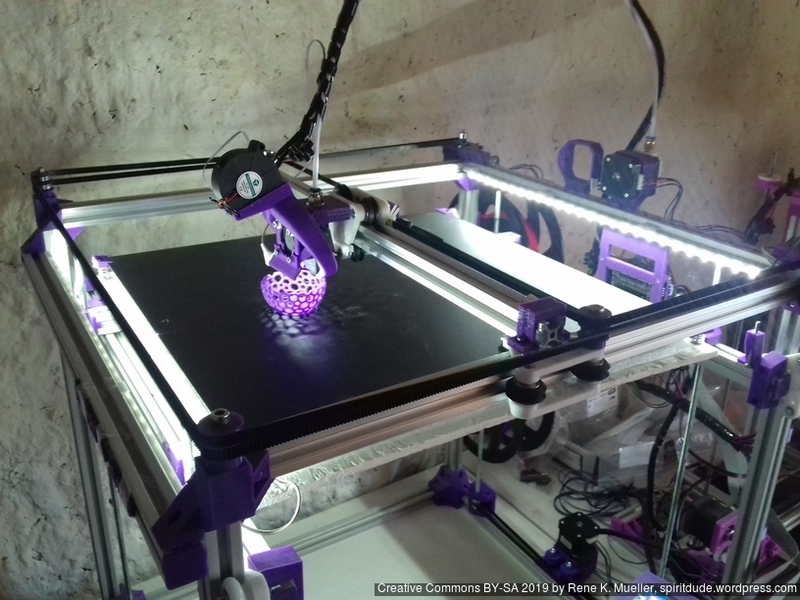 A brief post of my local network for 3d printing with several 3d printers, using print3r CLI (Command Line Interface) tool. 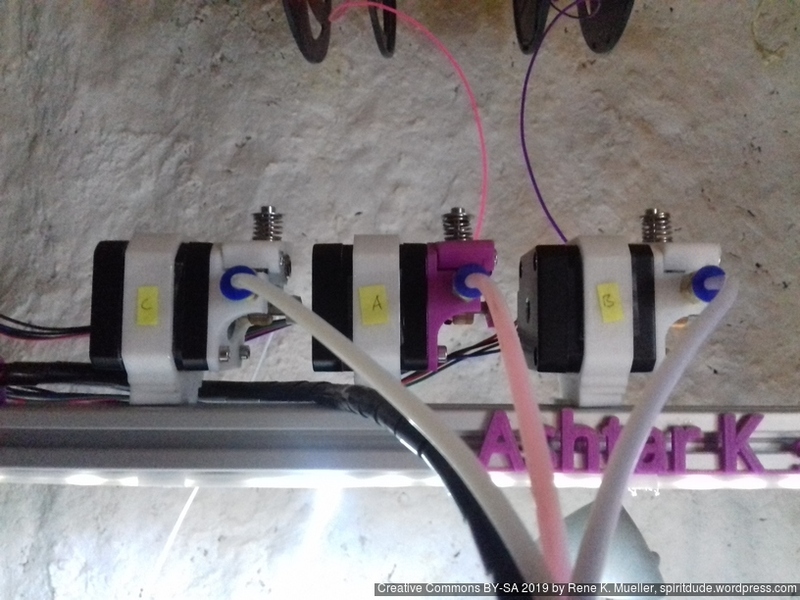 Orange Pi Zero (single board ARM-based computer) named printhub running Armbian (Debian-like). 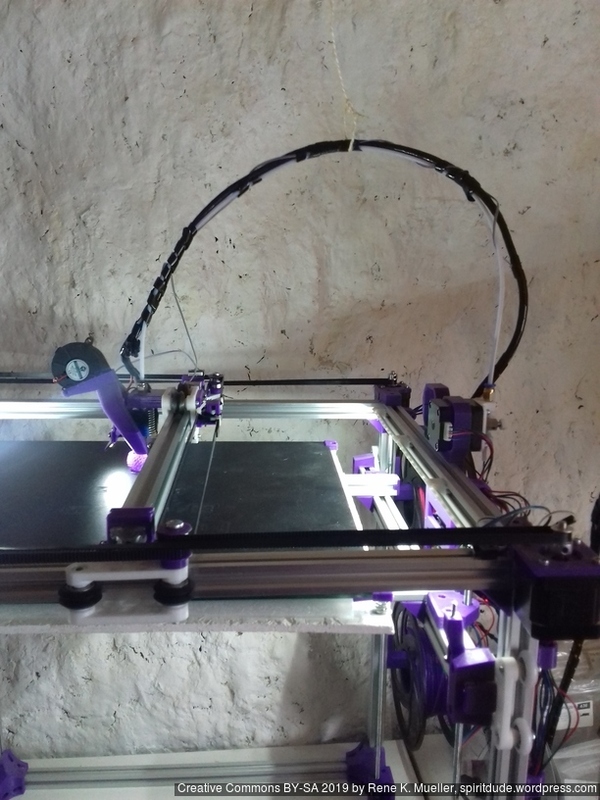 The workstation from which I print from (design and slice) is also connected via Ethernet. 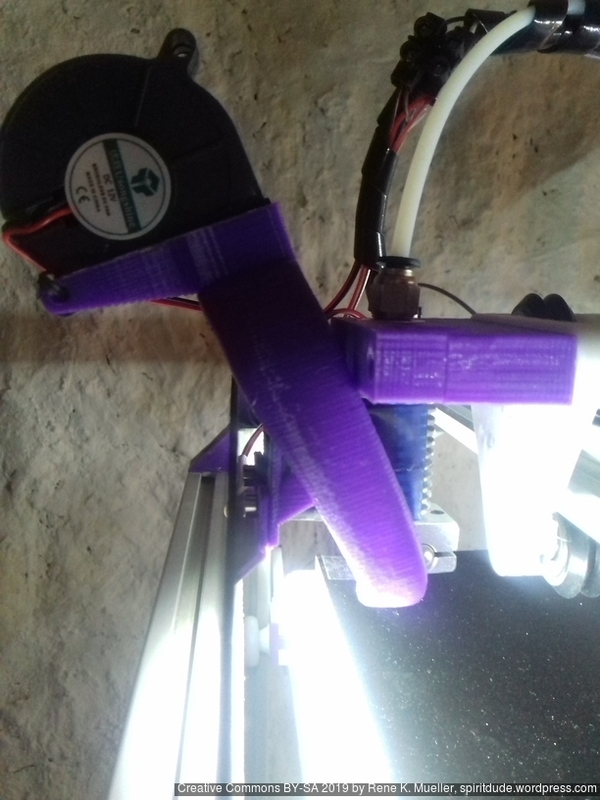 The printed violet PLA case I published a while ago on Thingiverse: Orange Pi Zero Case. 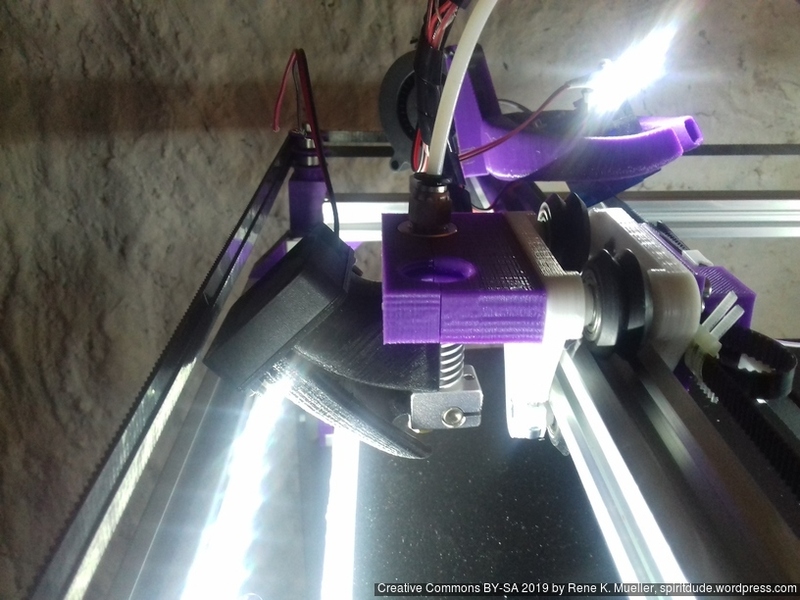 See Print3r Wiki: Remote Printing for more details. 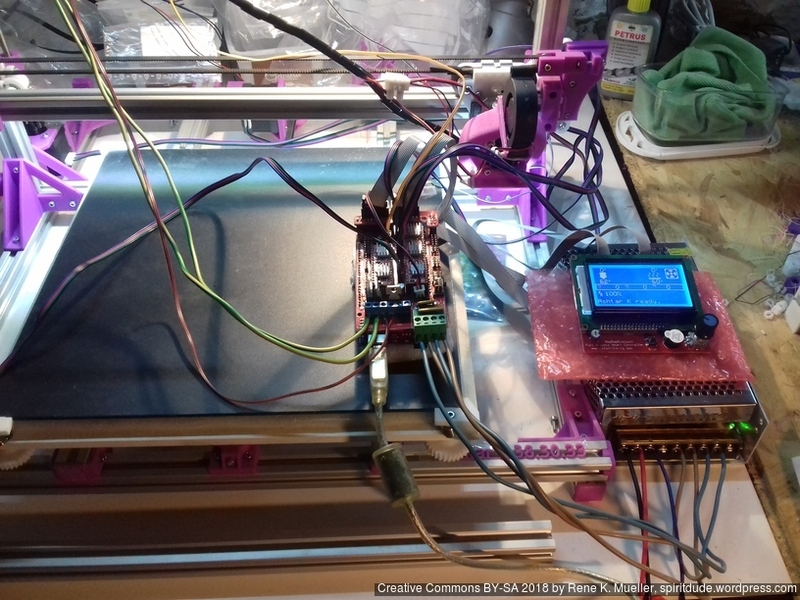 The CTC I3 Pro B Y3228 low cost printer still runs Marlin 1.0 and 250,000 baudrate which won’t work with ser2net which print3r uses internally to print in network environment, so it needs to be flashed first with newer firmware, so it can be networked as well with common baudrate like 230,400. 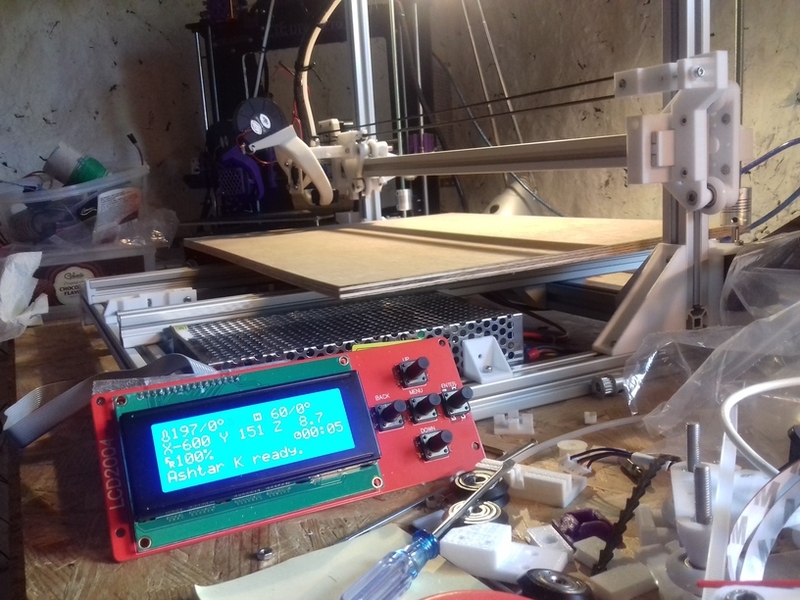 I upgraded the ~1 year old “CTC DIY I3 Pro B” 3d printer to Marlin 1.1.8 finally, first burning a bootloader with an Arduino Uno, and then properly configured Marlin, and now runs with 115,000 baudrate as well, so it can be networked as well. 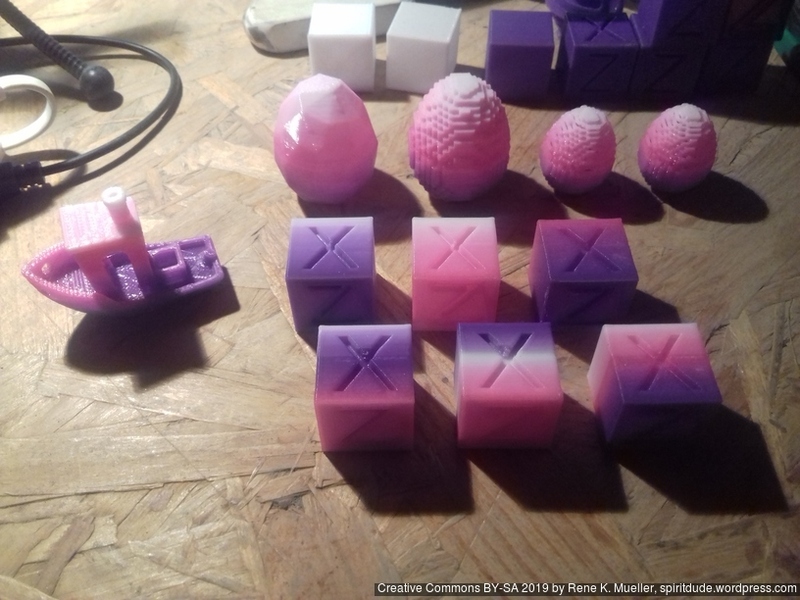 Otherwise I stopped using Cura GUI or Slic3r GUI completely, and solely use print3r to first preview the Gcode, sliced with CuraEngine or Slic3r, and then print the parts, and because it runs on the command line, all the previous calls in the terminal are stored as history therefore I can scroll back (cursor-up/down) and repeat a job with slightly changed settings by editing the command line – something which GUI doesn’t offer, unless you save a printjob as .3mf and reload it and click around and change settings and save again as .3mf etc. 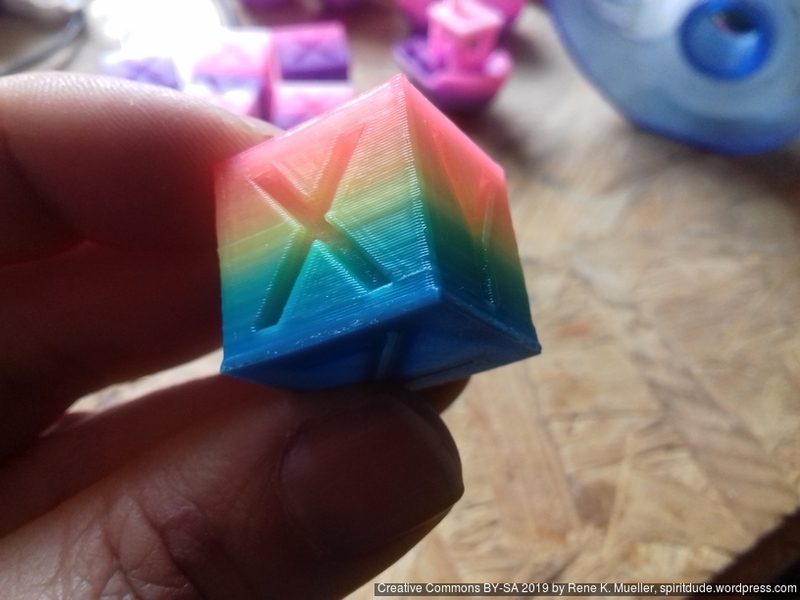 and if the print came out well, I add --multiply-part=3 or so. 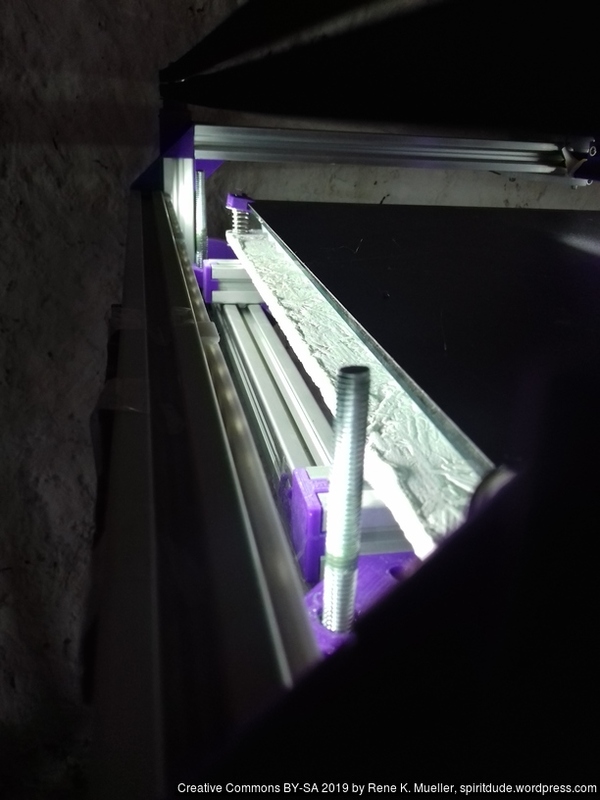 residing on 2020 T-slot alu extrusions. 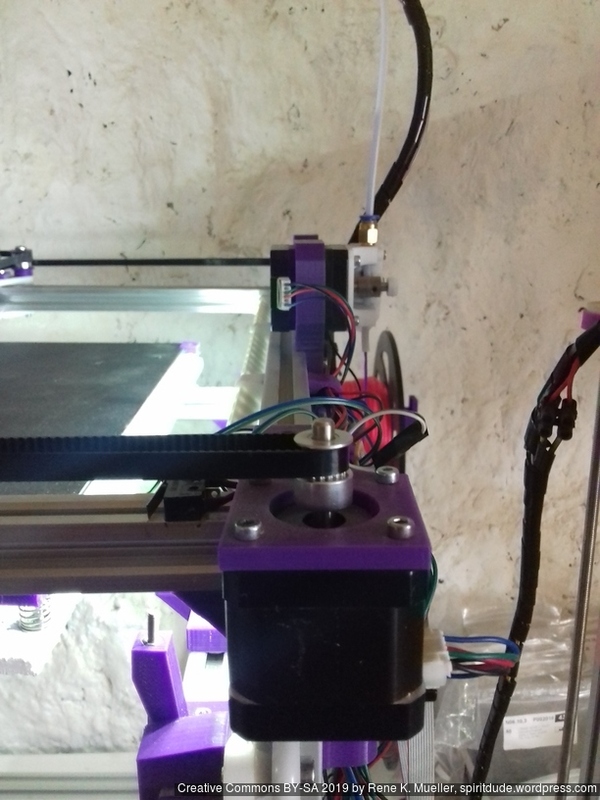 E3D V6 clone this time really does not perform well: extrusion is not even, and missing steps of the extruder; requires further investigation. 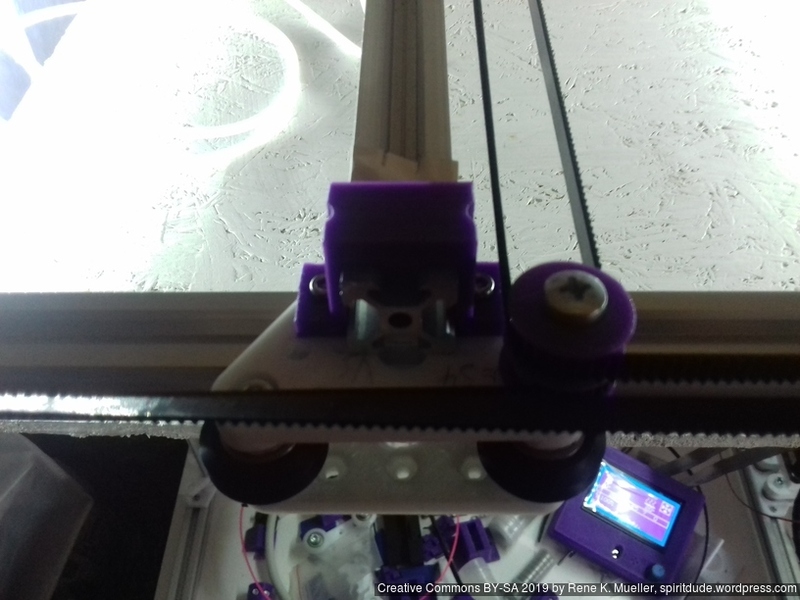 Early on I decided to separate belts of motors A and B in the Z axis, so they would not cross as such, and also hoped one axis of the carriage holding the X beam would allow some idlers to redirect the belts – to save space and keep frame dimension and build (or printable space) dimension close. 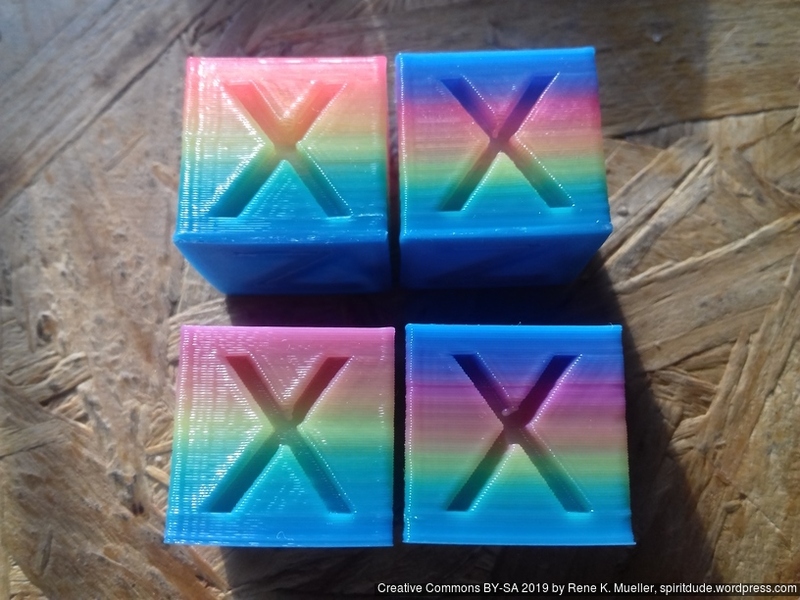 and X and Y direction worked correctly. 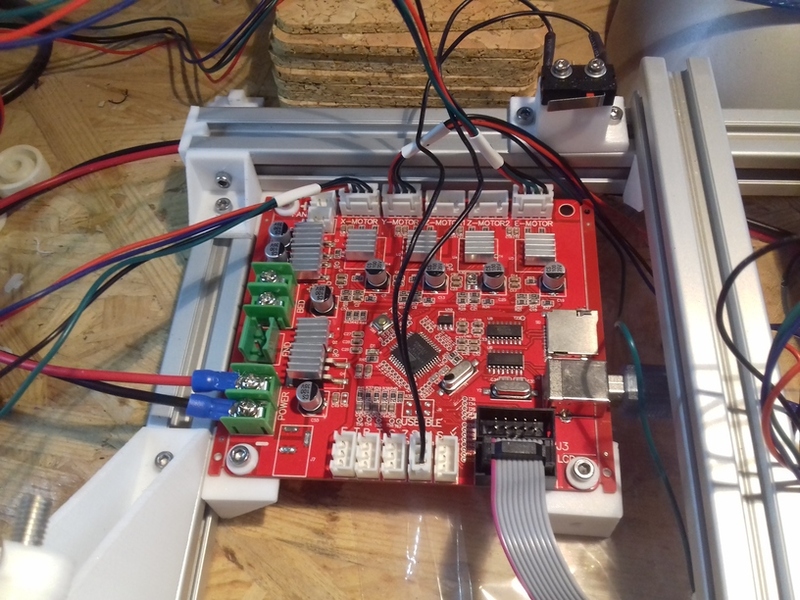 The stepper drivers still need some tuning, as I saw or rather heard a few missed steps at fast movement. 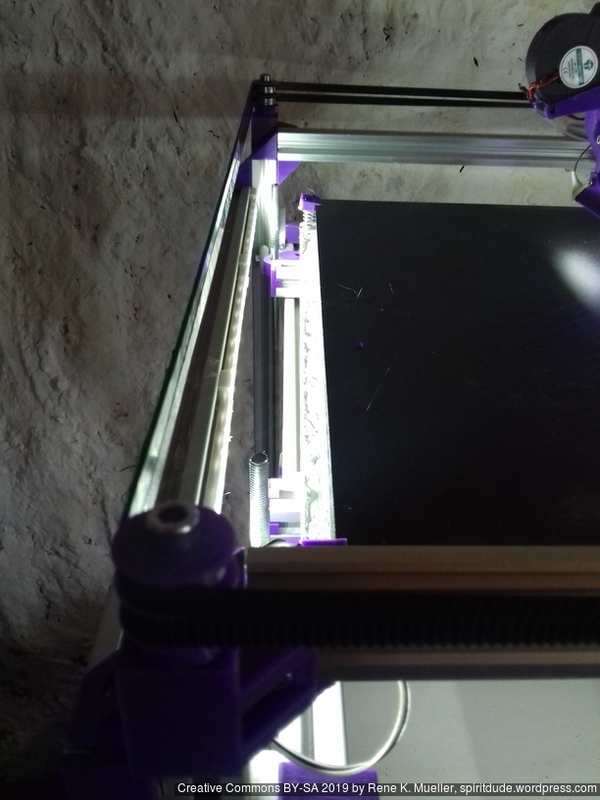 I postponed the actual details of the Z axis, as my main concern of the design was to have a good CoreXY setup and then see how I would achieve the Z axis. 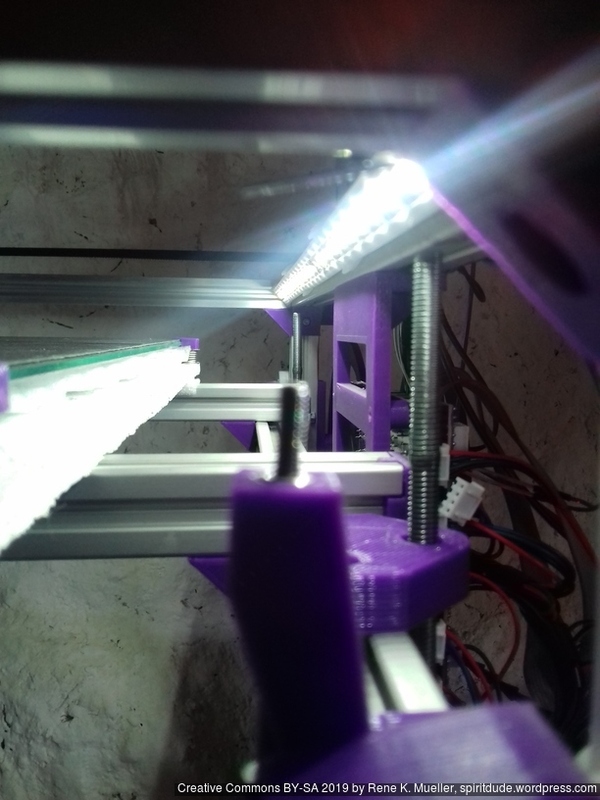 Since the surface of the threaded rods is rough, I realized I need dedicated bearings to hold the rods at the bottom, otherwise the friction would wear on the mounts and increase its diameter. 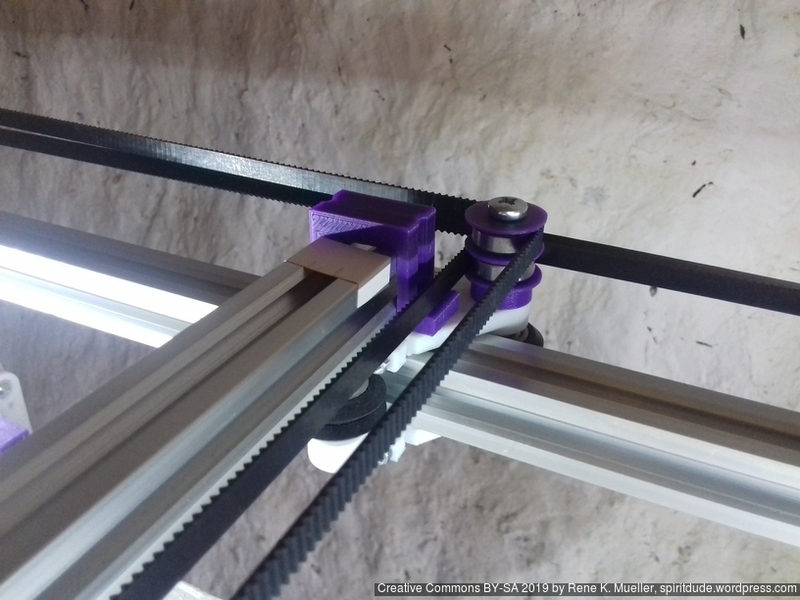 So, the Z axis isn’t finalized yet, but close. 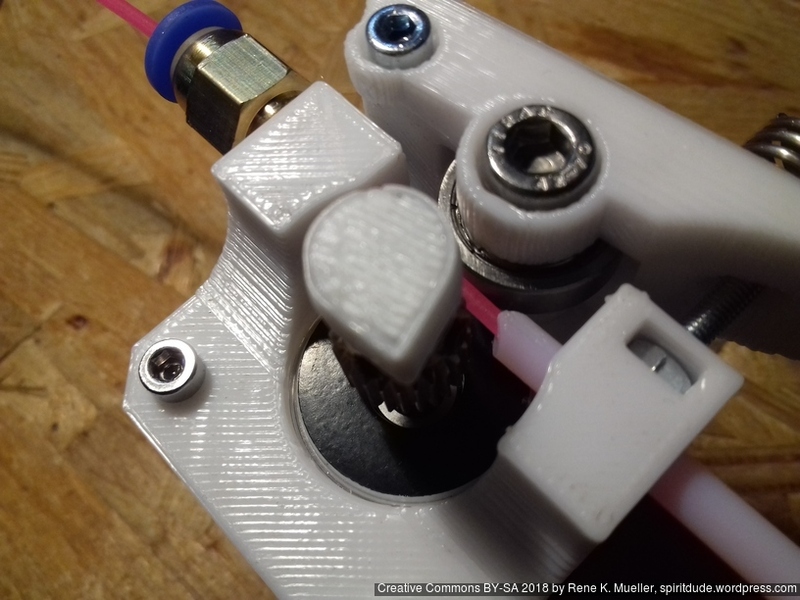 It’s “right handed” by default, but filament can go both directions. 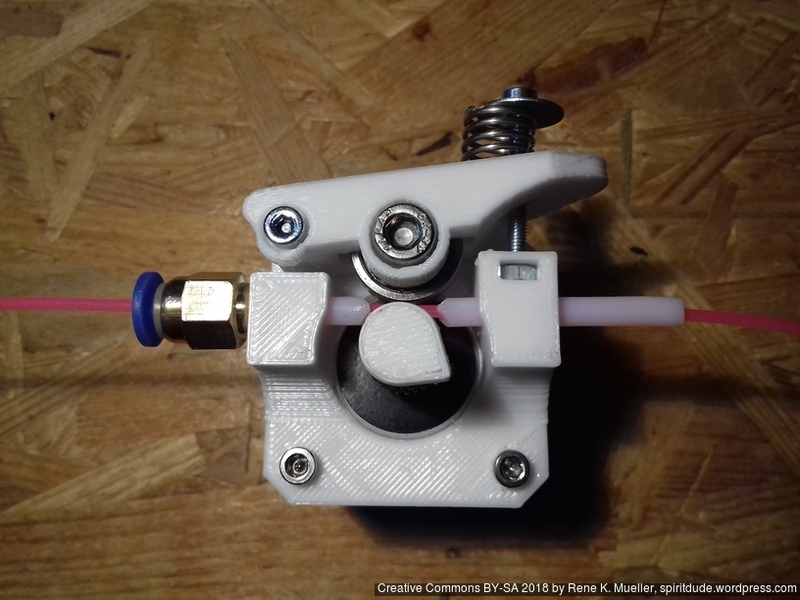 The handle is pushed from “inward” with a spring, not so elegant, yet it saves space and filament does not have to go through the handle this way, which I prefer. 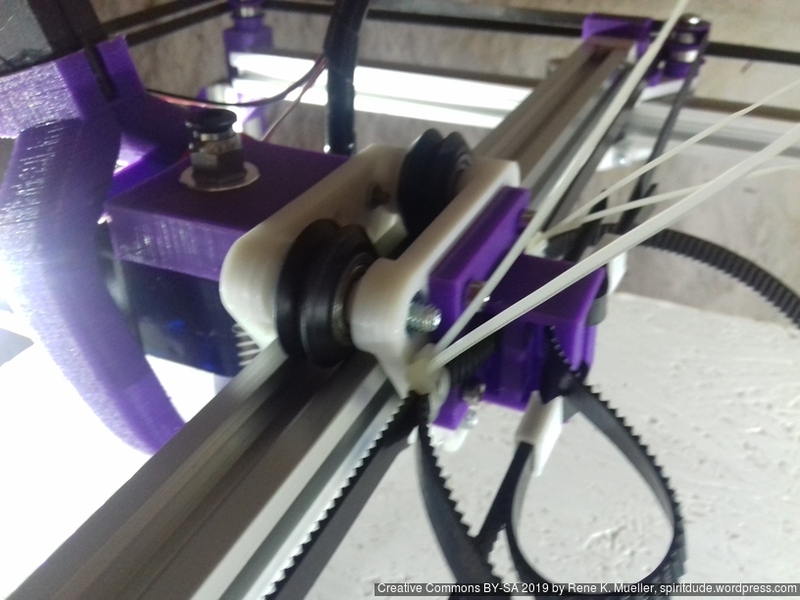 btd: Bowden tube diameter (default: 0mm), if 4mm is used, then Bowden tube can be inserted on both sides as guides for flexible filament close to the hobbed gear as shown below. 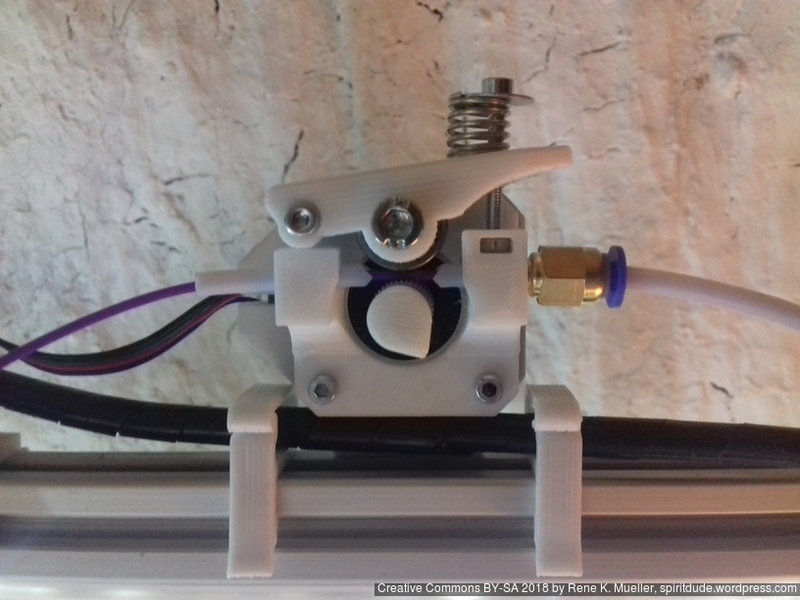 Later I likely will integrate this design, once proven reliably working, with a Direct Drive Extruder design as well. 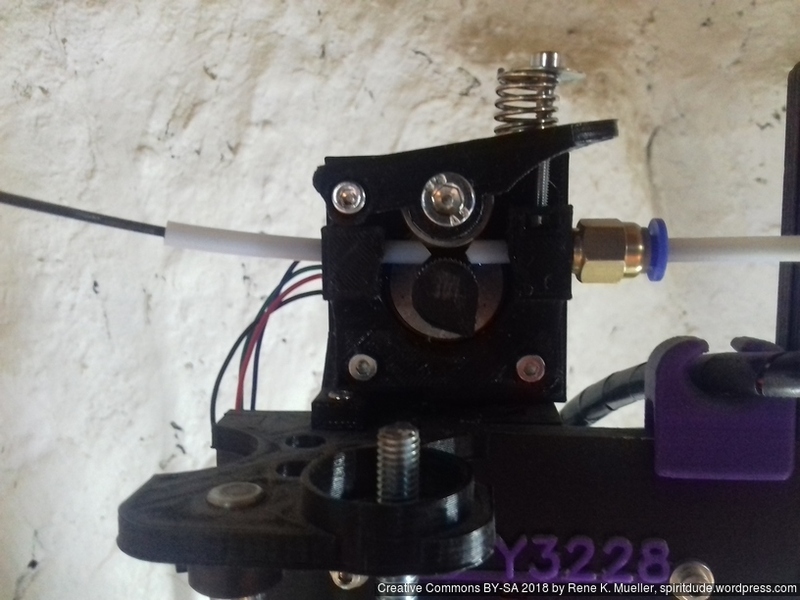 The first one used two pairs of M3 screws, whereas the other more simple one requires in its base version just one pairs of M3 to mount the E3D V6 hotend and the mount itself to the X carriage; in case a slight Y offset is used, two pairs of M3 are required again. 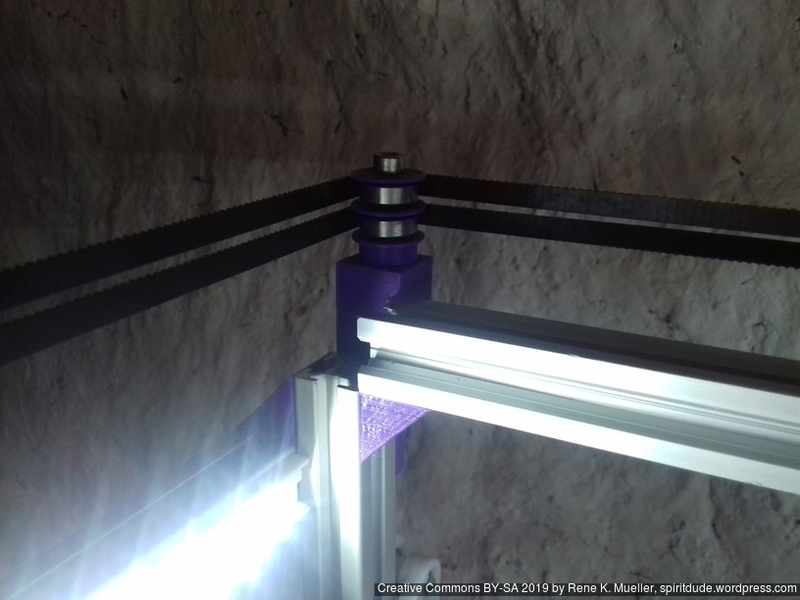 I will update this post once the designs are published, after thorough testing in real life. 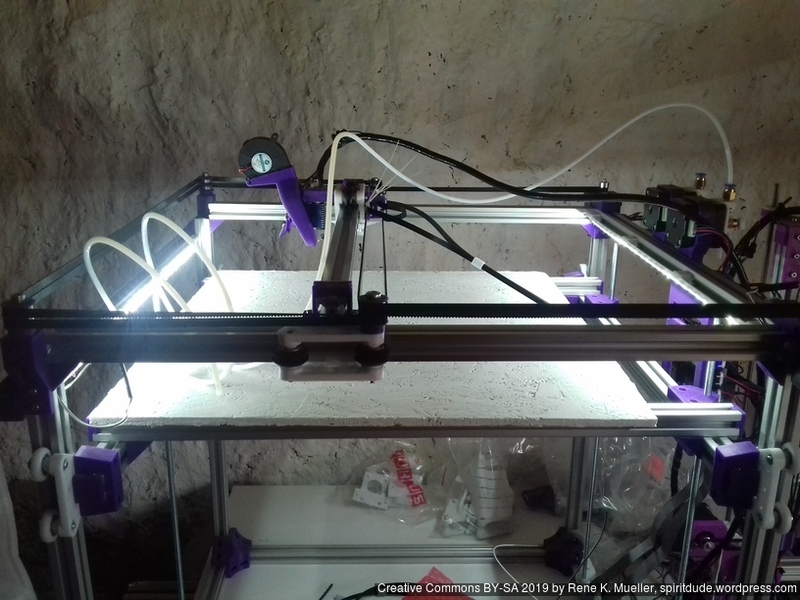 The past months (2018/08) I began to use Aliexpress for ordering electronics – even prior going into 3d printing – and the past weeks my development cycles pretty much were depending on the 20-25 days delay until items arrived from China to Switzerland – and one develops some skill to anticipate what one would require as next – but some things only become known once you really tested parts thoroughly. 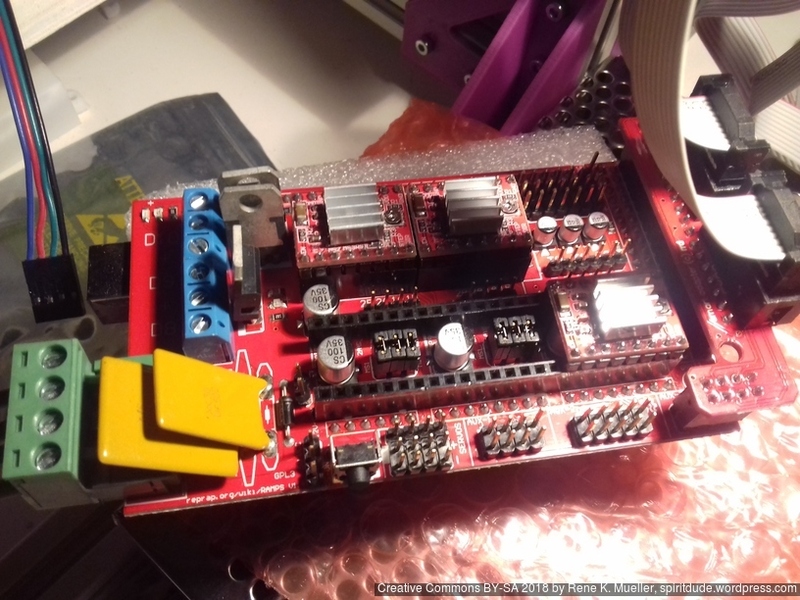 Anyway, the CTC DIY I3 Pro B (Geeetech DIY I3 Pro B clone) was still sold via Ebay (2018/08), at a price as low as EUR 80 incl. shipment, which is a true bargain. 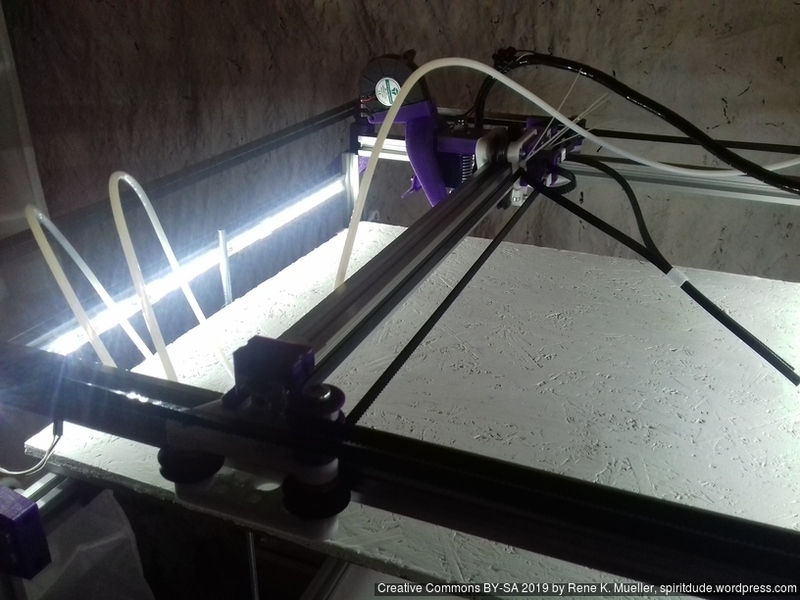 So I decided to get another CTC DIY to source the parts in one go, and likely upgrade later with individually sourced parts to have dual extruder motors (two color or material printing). 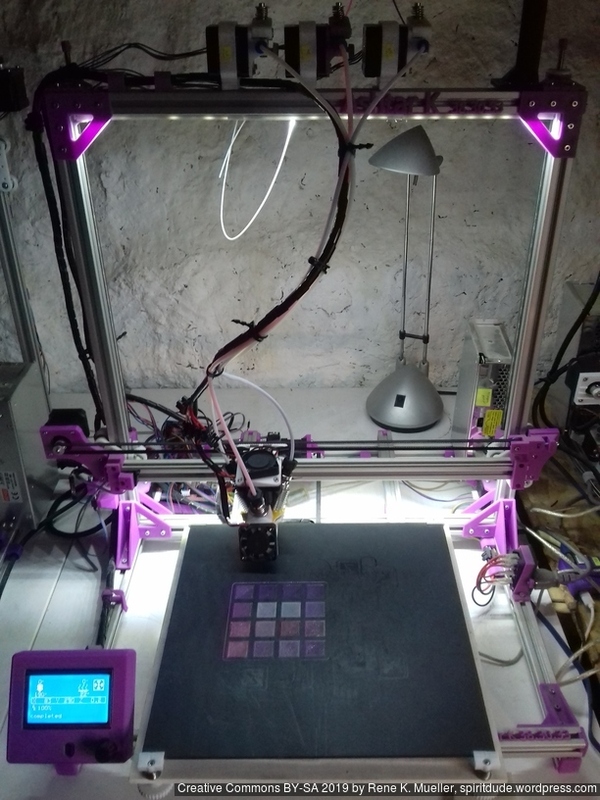 For the 2nd Ashtar K 3D Printer I used (2018/11) RAMPS 1.4 combo with Arduino Mega, which was easy to upload new firmware. 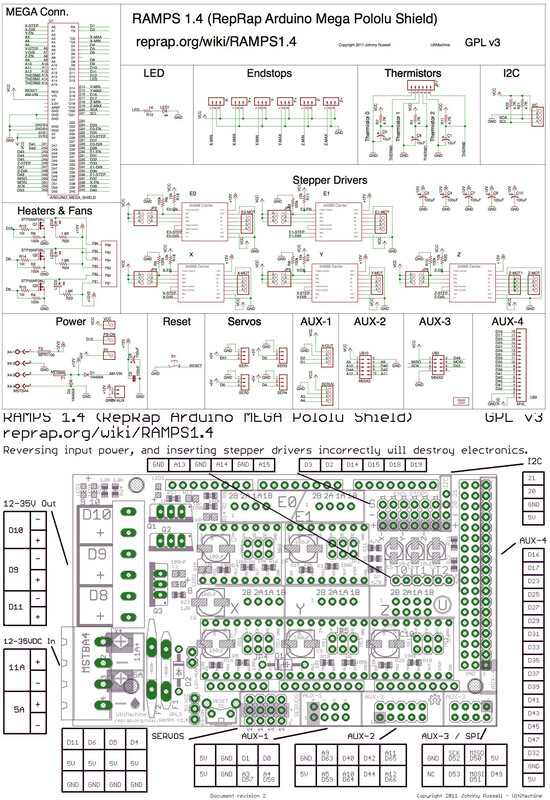 RAMPS 1.4 is Open Hardware, the entire schematic and pinout is available or download diagram with pinout as one image (same as on the side) – but it’s also a hassle to plug correctly as the board plug descriptions are tiny or covered by parts so one has to consult documentation in details, and there many ways to do wrong (reverse or misalign plugs) and most of these can and do damage either the RAMPS 1.4 shield and/or the Arduino Mega beneath, including misaligning the endstops. 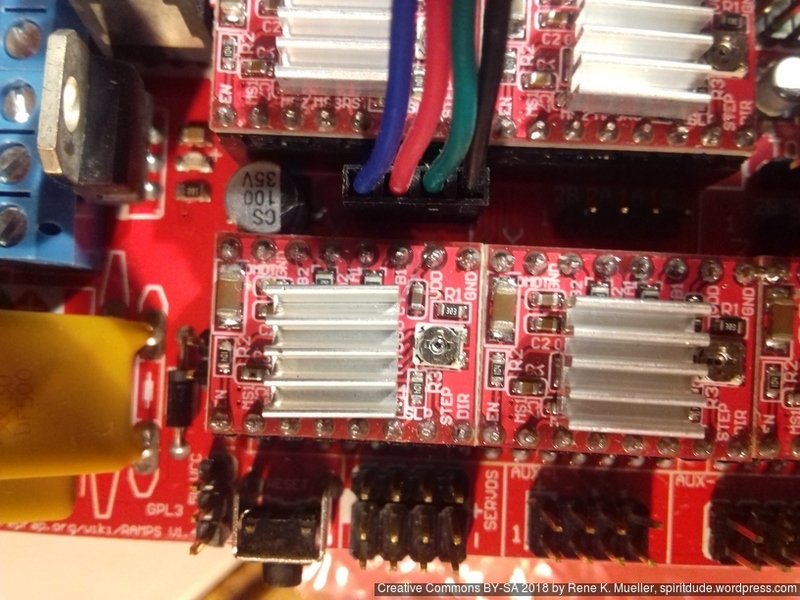 see #if ENABLED(REPRAP_DISCOUNT_SMART_CONTROLLER) and the following #if ENABLED(CR10_STOCKDISPLAY) after the #else check BTN_EN1 and BTN_EN2 and reverse the pins (31 <-> 33) so clockwise dialing goes down (and not up). As far I can tell the end-stops take DuPont females and pin order is the same as with RAMPS 1.4, but orientation is crucial – otherwise the GND and VCC is shorted. 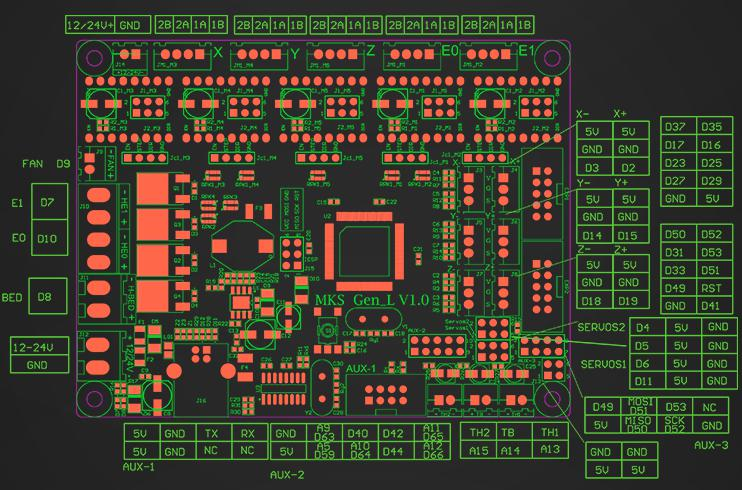 The plan is to use this board for Ashtar C #1. 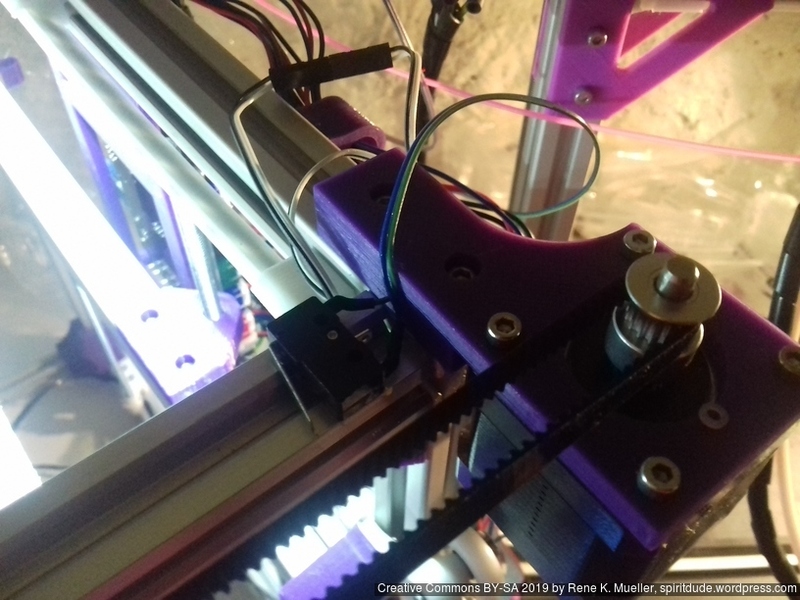 I update this post as I go along. 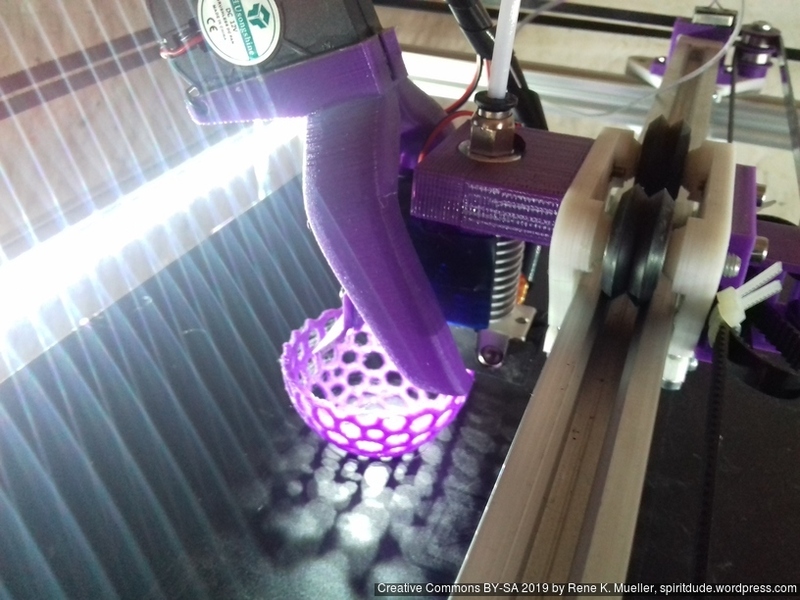 which can be set with --slicer=<slicer> on the command line. 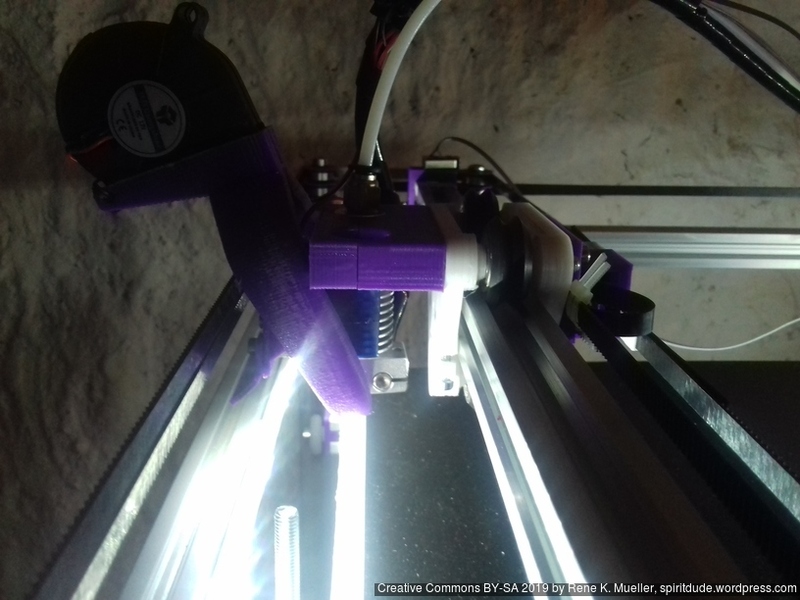 Full list of settings you find at Print3r Github Wiki. 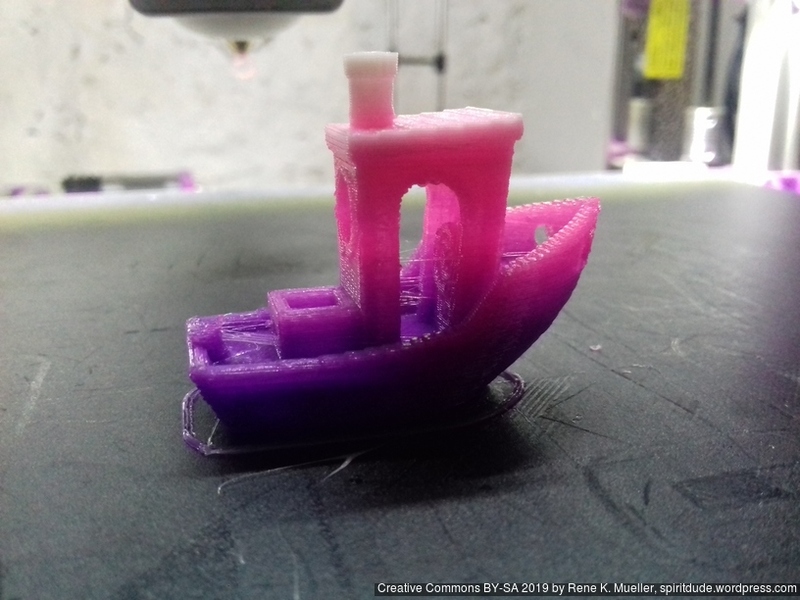 Yet, if you must, you can still use slicer-specific settings to fine-tune settings according your print needs and printer capabilities. 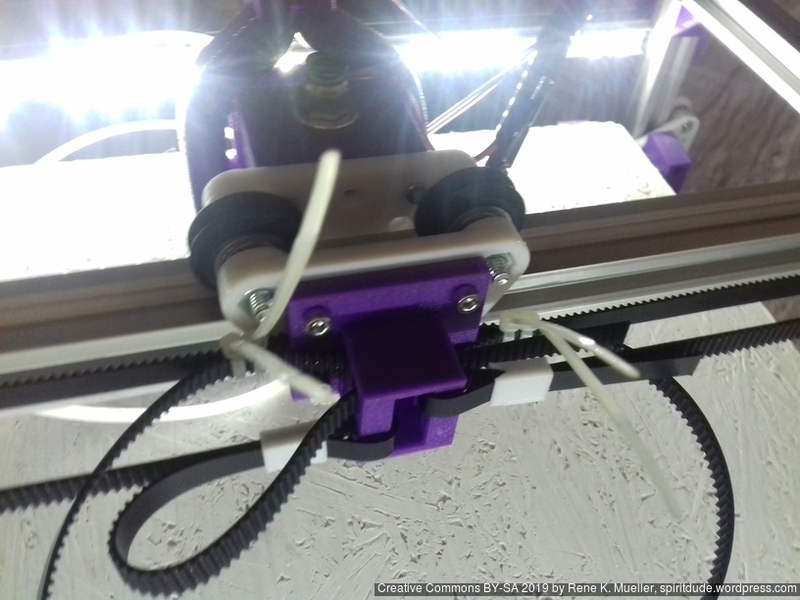 % print3r --scad print "cube(20)"
% print3r --scadlib=washer.scad --scad print "washer(5)"
% print3r --scadlib=parts.scad --scad "c_2020()" "edge_idler()"
Since 0.1.0 also arbitrary baudrate like 250000 (default of Marlin) is supported (Linux only, other platforms not yet), aside the common 115200. 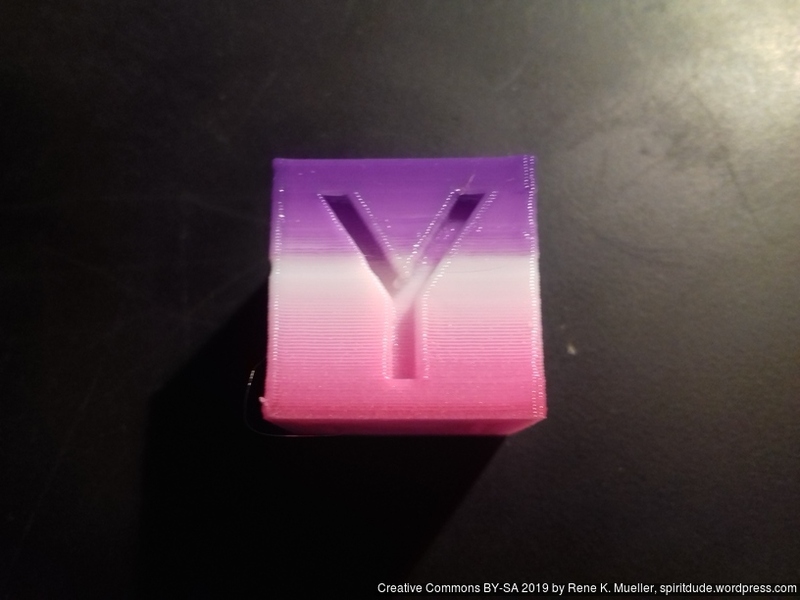 As external Gcode viewer for preview command yagv is used, a very basic viewer – at a later time it might be replaced. 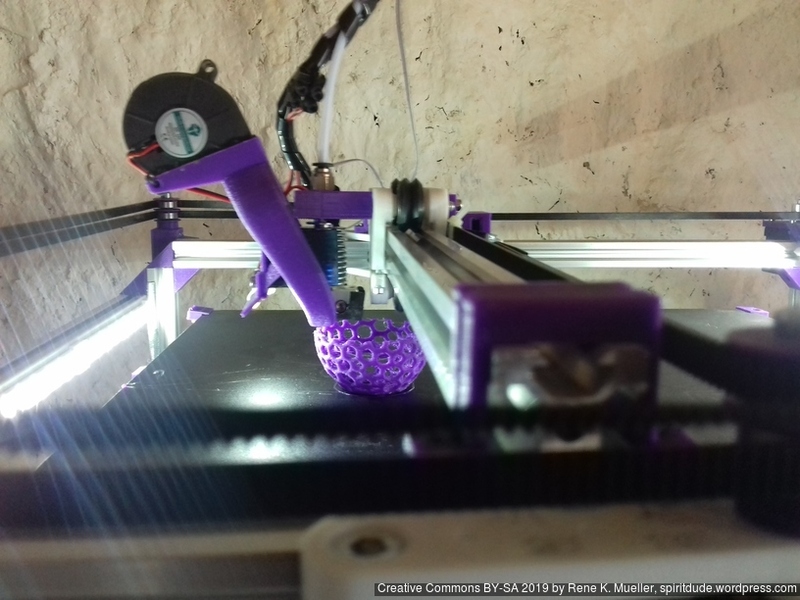 which converts, slices and preview the Gcode. 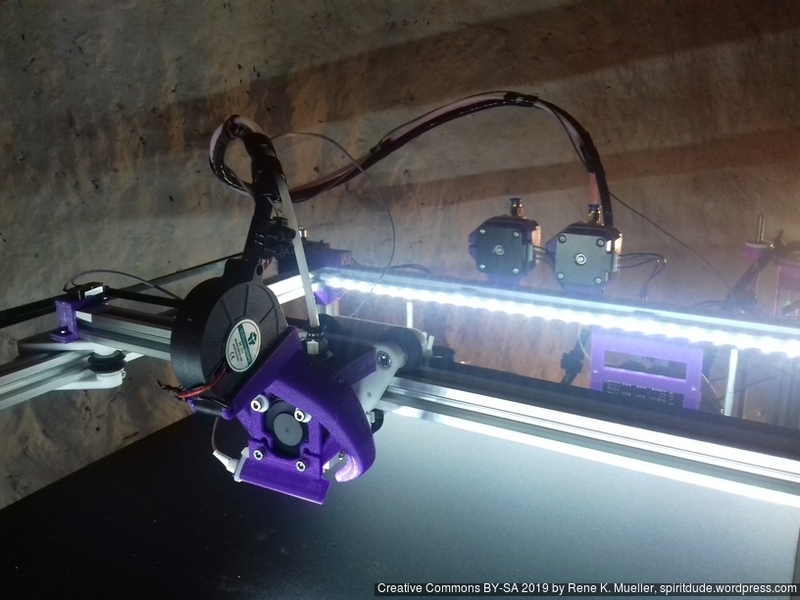 Since the functionality of print3r is growing steadily, the requirement for proper documenation demanded its own Print3r Wiki where you find up-to-date information. 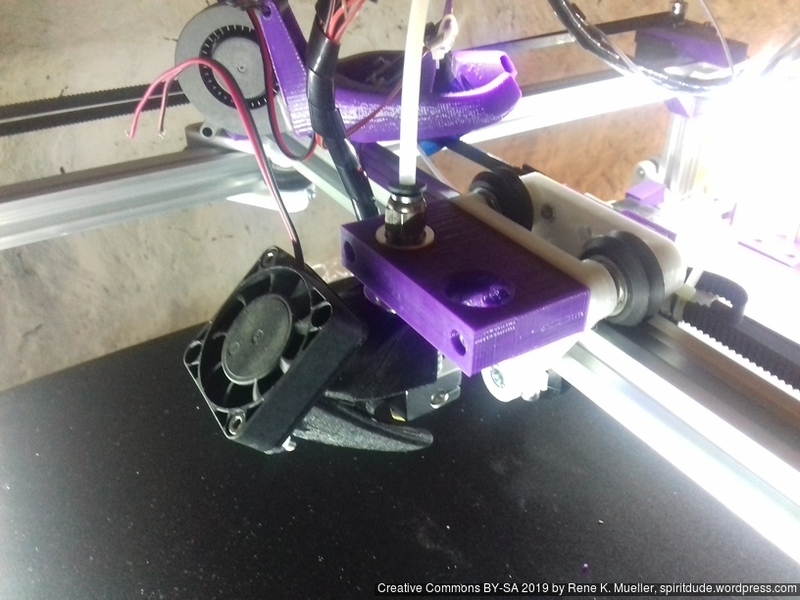 Note: The information is outdated as print3r natively supports networked printing, see 3D Printing: Print3r 2.x: Networked Printing (2019/02/27), but this information is still useful bridging USB to TCP in general. 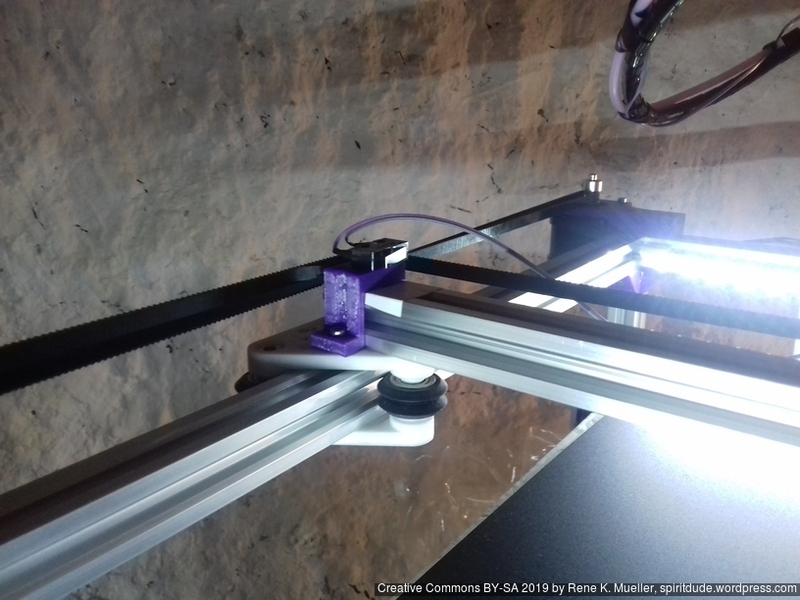 The moment you deal with more than one single 3d printer, but multiples – you want to access those with a single host: creating a cloud 3d printing facility. 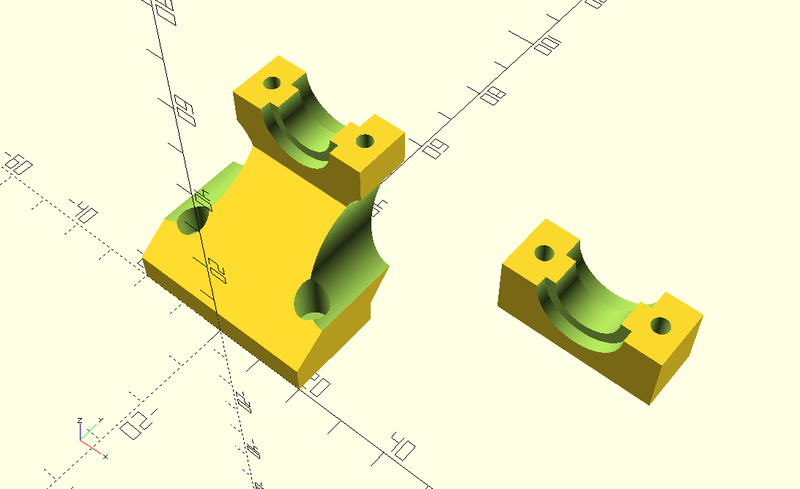 print3r: scad to stl: done. 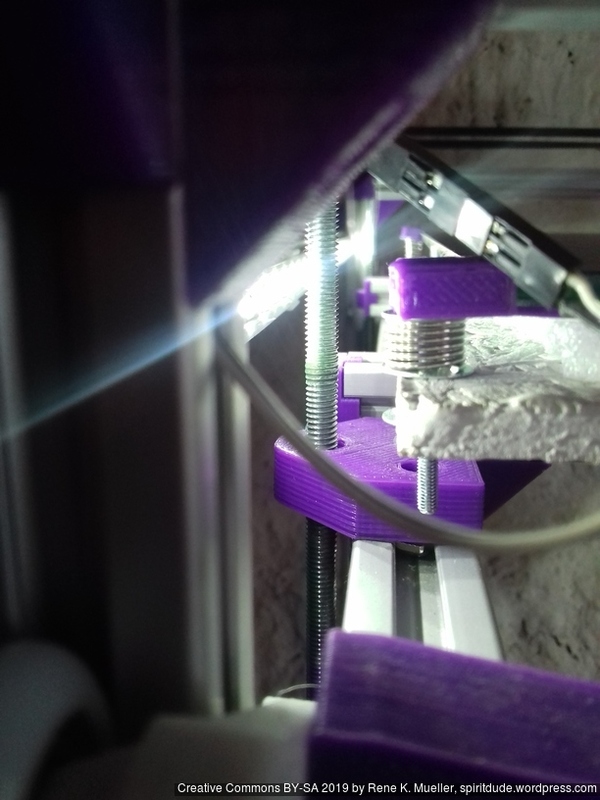 print3r: slice part to gcode: position 272,118, filament usage 2.38m, done. 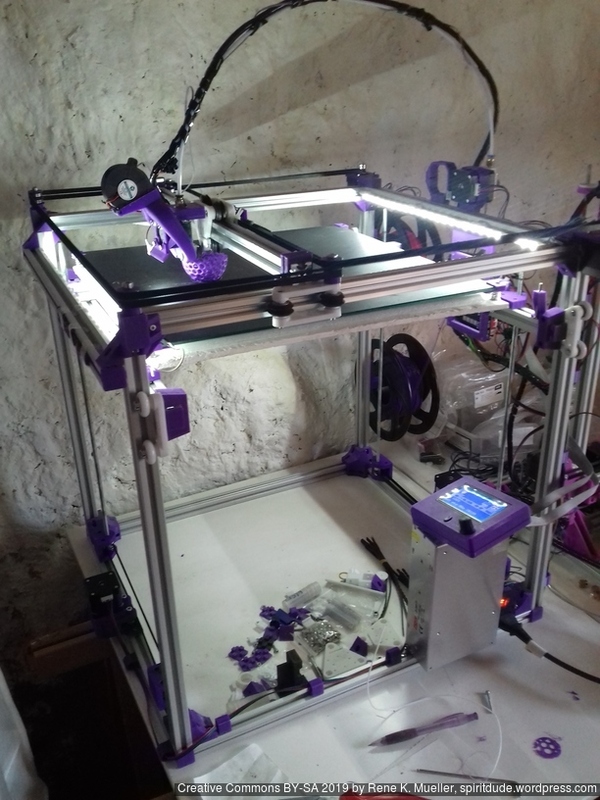 So, that’s it, with ser2net on the printers, and socat on the host you have a rather simple and straight-forward cloud 3d printing facility. 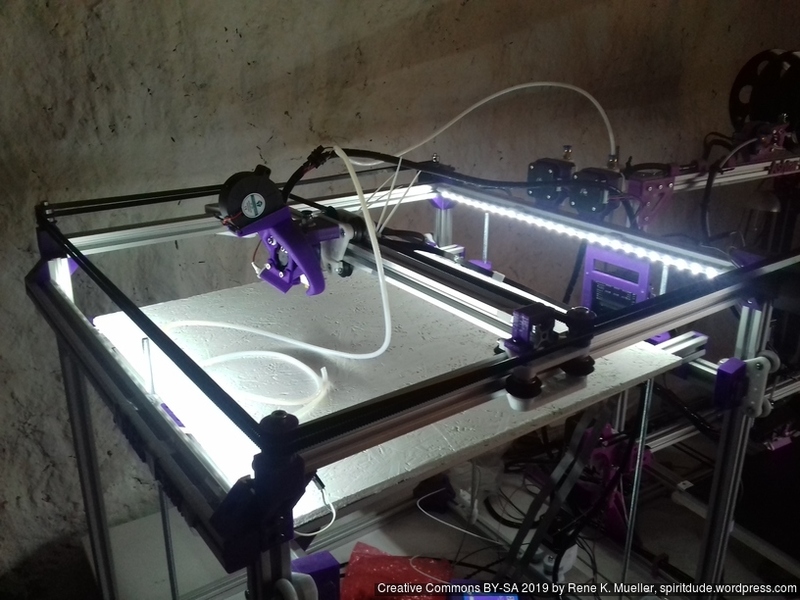 I likely will extend Print3r to support networked printing with a simple all-in-one setup. 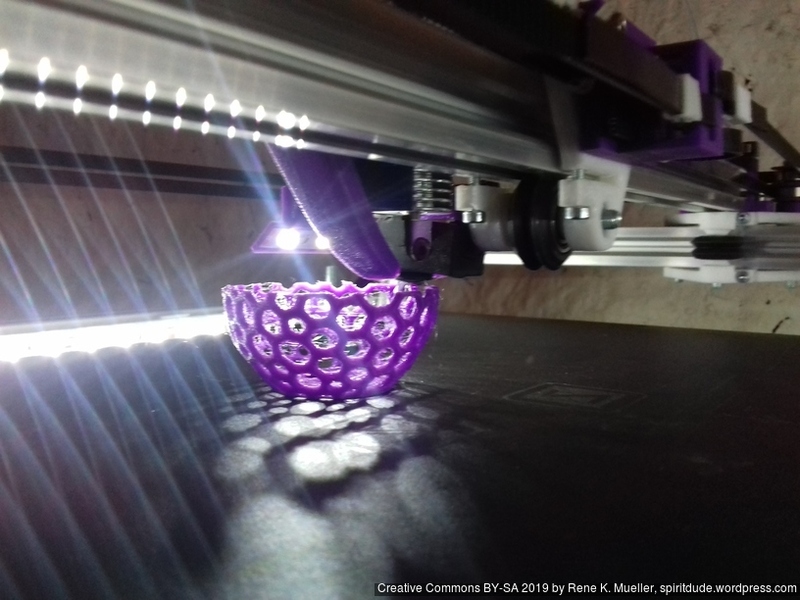 Implemented since Version 2.0.0, see 3D Printing: Print3r 2.x: Networked Printing. 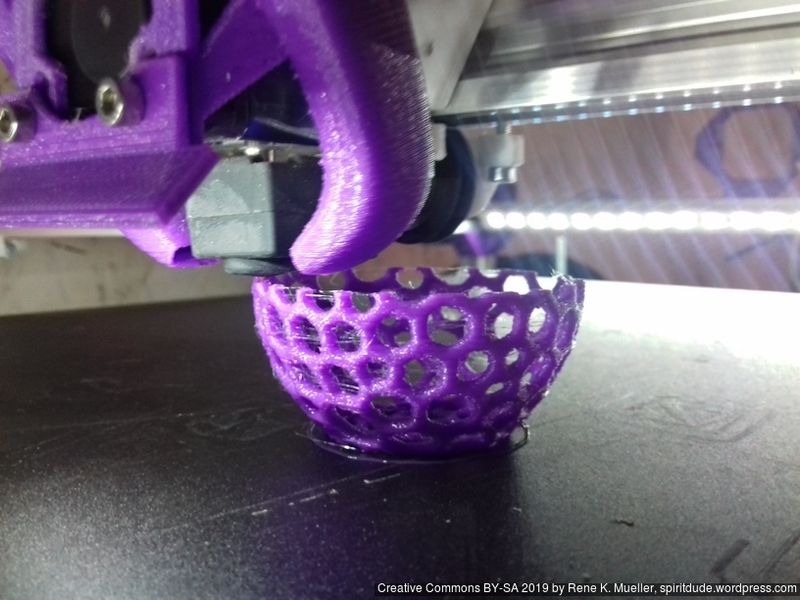 2018/11/01: there is a slight drawback using ser2net: only takes common baudrates, but doesn’t support 250,000 which is the default baudrate for Marlin, 115,200 does work though. 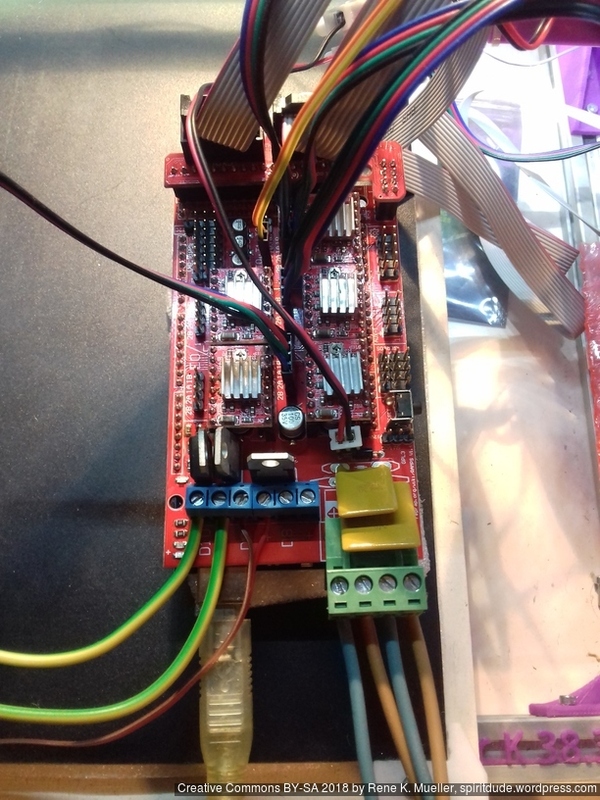 So, in case you plan to use ser2net reflash the firmware to use 115200 as baudrate. 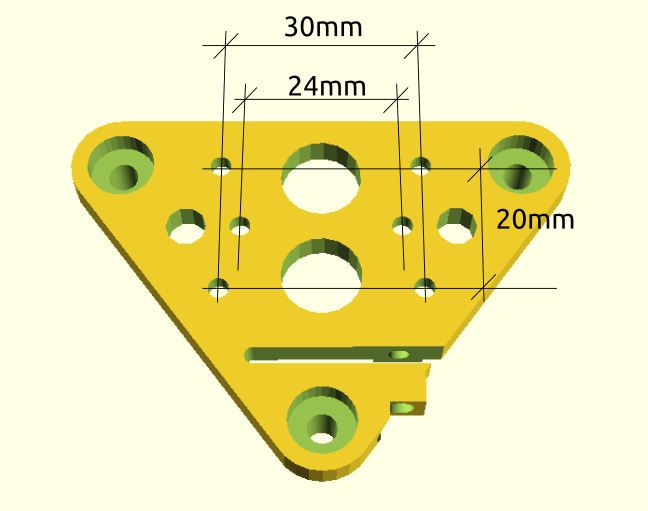 Although 3d parts need to be seen and visually so much is communicated, but Cura’s user interface feels conceptually skewed (“Prepare” vs “Monitor” tab) – and with the time I thought I want an ordinary command line interface to print parts quickly, easily multiply and random placement so the bed surface is more evenly used and not just the center – I have grown tired to move parts on the virtual bed. 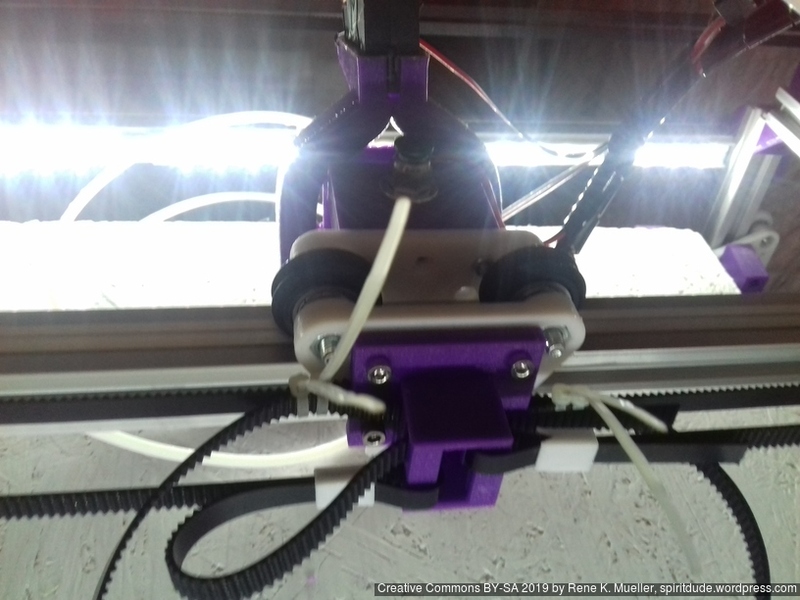 print3r: slice parts to gcode: filament usage 79.67cm, done.